The various laundry services in Nelspruit handle the cleaning of all types of linen products. Bed linens for guest houses and hotels always require that extra bit of attention as often the reputation of an establishment offering accommodation is linked to the quality and look of its bed linen. There is nothing more luxurious than spreading out on crisp, clean linen. The soft fabric encompassing your body along with the relaxing smells that you get from clean linen do wonders for your sleep health. And as a hotel or guest house owner the comfort of your guests is of the utmost importance. Laundry services in Nelspruit use industrial scale cleaning to tackle the linen used by hotels and guest houses. If you only do small scale laundry for your guest house, give our tips a try. Laundry services in Nelspruit can take care of your linen when you have large scale laundry to take care of, but what about smaller guest houses that don’t need such a service? You can always take care of your own small-scale cleaning needs and the best way you can do this is by using our tips for linen cleaning. Every linen sheet will have instructions included with the product to ensure that you can give it a safe clean without damaging or reducing the quality of the linen. The type of stitching and the dyes used to colour the linen are important factors to consider when cleaning linen. The instructions that come with your linen will tell you how you should go about washing the linen and how to keep the linen looking new. Marks that are on the linen might be there forever once it has gone through the wash. Give the marks a rub with a laundry soap before you put it in the wash. Nelspruit laundry services specialising in the industrial cleaning of linen will usually give the dirty mark an extra bit of cleaning power before putting it through the wash. It can be tempting to save time by throwing your bed linen into the washing machine along with pillow covers with zips or clothing with zips and buttons. The danger of doing this is that you will run the risk of causing breaks and abrasions in the linen. The best way to avoid this is by always washing your linen on its own. Linen has the amazing ability to absorb and hold up to 20% of its weight in water while remaining dry to the touch. This means that the linen will feel fresh and cool when wet, rather than being sopping. The more detergent you use to clean your linen the more damage you are likely to do to the linen. Some of the chemicals that you find within a detergent can weaken the fibres within the linen. This in turn can cause tears and holes further down the line. Try to use environmentally friendly detergents as they are not as harsh as the alternatives. 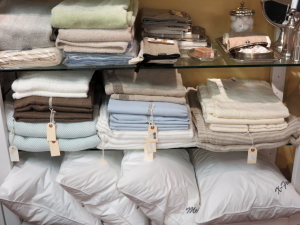 As a guest house owner, you wash your linen very often so you want to ensure that your linen is long lasting. You will find that many laundry services in Nelspruit who specialise in industrial scale linen cleaning, such as Mbombela Laundry, use only the safest detergents to make sure linen is properly cleaned while the fabric is never compromised. We’ve possibly all made the mistake of adding the detergent directly to the laundry, even if the detergent is liquid. But this is something that you should rather avoid doing as the direct contact can cause damage. It is best for the detergent to first be slightly diluted before it comes into contact with the linen. Direct contact can cause the fabric to suffer from discolouration and it could weaken the fibres within the linen as well. Static electricity cannot be gathered on a linen fabric and even if a fabric has linen blended into it static electricity will be kept at bay. A blend including just 10% linen will be spared from the effects of static electricity. Have you noticed dark marks appearing on your white linen? Maybe you have seen the quality of your linen diminishing since you have started using fabric softener. Sadly while fabric softeners smell great and make your clothing nice and soft, they don’t have the same effects on linen bedding. Softeners can damage the fabric and cause the bed linen to break down. You don’t ever need to boil your linens and you don’t need to wash them in very hot water. Because of the evolution of detergents, washing your linen in a warmer but not scorching water will give it a fantastic clean as the detergents are more effective in lukewarm water. What is great about using lower temperature waters is that you are not going to only be saving your linen but you are also going to be saving your money. The less hot water you need, the less energy you will be spending heating up the water. This is great new for a guest house owner. Linen is much stronger than the other commonly used fabrics. Linen has a tensile strength that is twice as high as cotton while being 3 times stronger than wool. No wonder using linen in a guest house or hotel is such a great idea. A long lifespan means less worrying about the linen breaking or becoming threadbare and untidy. Washing your linen is only the first step in giving it a safe clean. The drying process can also cause damage to the linen when it is not done properly. 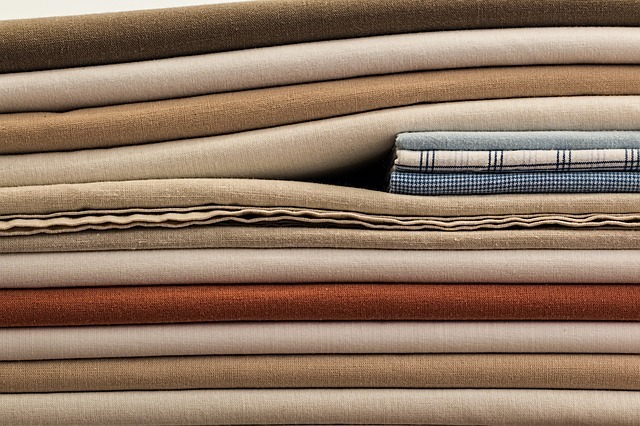 Here are a few ways to keep your linen looking great and staying high quality after the drying process. • It is okay to use a drying machine but if you want to reduce the amount of work that you have to do after the sheets come out of the drying machine, then you should give your linen a stretch. This is a two person job. Remove the sheets, place them over a drying rack, stretch them out and then fold them. It is as easy as that and it will save you time when ironing. • When a drying machine is too hot it can cause the sheet to be damaged. The best thing you can do is reduce the heat when drying or reduce the amount of time it spends in the machine. For years, laundry services in Nelspruit have been giving the linen in hotels and guest houses only the safest and most effective clean. With these tips, you can give your small amounts of linen an industrial-sized, effective cleaning.